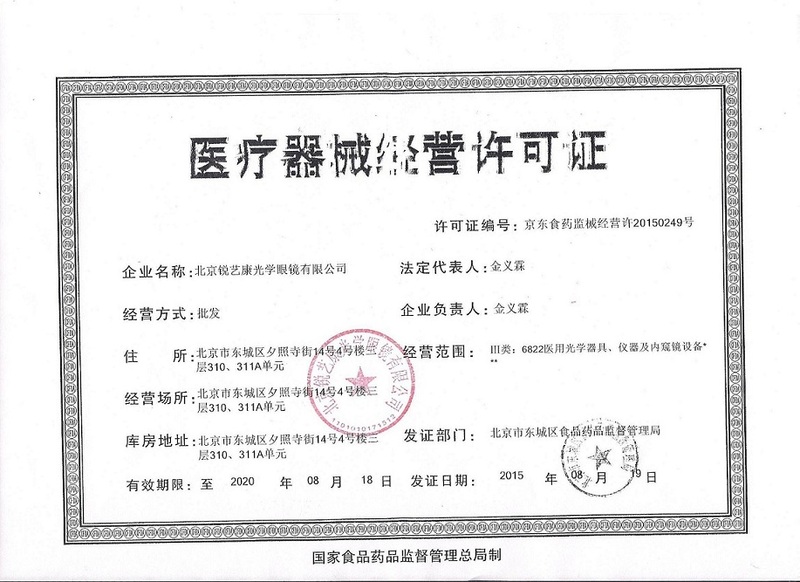 Company Overview - Beijing Realcon Optical Lens Co., Ltd.
2YRSBeijing Realcon Optical Lens Co., Ltd.
Suzhou Sunnyco Optical Co.,Ltd.is established in 2010. Our main business is contact lenses, with 25 million RMB annual sales volumes. Except for agent service, our company has independent Online to Offline retail business. Exporting brand is polyflex.Our cooperation factory is located in suzhou City, which is a professional contact lenses company engaged in the development, production, sale and service of contact lens. The main products are yearly, monthly as well as daily disposal colored contact lenses. In recent years, our company has introduced a series of professional production equipment including printing machine, inspection machine and packing machine. Strict quality control is performed in every procedure from materials, processing and testing to packing. Our factory also welcomes OEM and ODM orders. Besides domestic market, our products are also exported to overseas market.In 2015, our company has established a wholly-owned contact lenses factory in Korea. Currently, the production capacity is 1 million pieces/month, which adopts the full cast molding production mode. We sincerely welcome friends from all over the world to visit our company and cooperate with us on the basis of long-term mutual benefits. 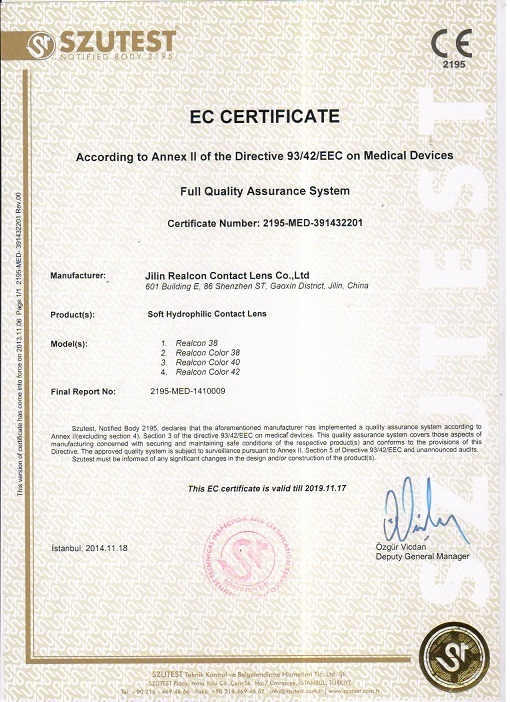 This quality assurance system covers those aspects of manufacturing concerned with securing and maintaining safe conditions of the respective products and conforms to the provisions of this Directive.